NEEDHAM, MASS. / January 24, 2018 – Bigbelly announces continued momentum in the Midwestern region of the USA among higher education and private sector customers, and a $5.7 million contract awarded by the Illinois Public Higher Education Cooperative (IPHEC). This follows their announcement of widespread global adoption in 2017. Bigbelly customers – from cities and towns, parks departments, transit systems, business improvement districts, colleges and universities, to retailers, corporate campuses, and healthcare facilities – integrate Bigbelly into their public waste and recycling programs to maximize productivity and ensure clean and safe public spaces. Public space cleanliness and aesthetics are critical first impressions for people arriving on campus. Facilities and grounds teams that handle outdoor waste collections also must manage overflows, support zero waste initiatives, or implement a compost program plus a variety of other tasks managed across campus grounds from landscaping, snow removal, building maintenance, etc. Strategic Bigbelly deployments consider these factors when helping colleges implement sustainable solutions at scale. Customers can realize collection savings up to 80% by knowing exactly where and when to collect waste, plus keep litter out of sight and pests away. 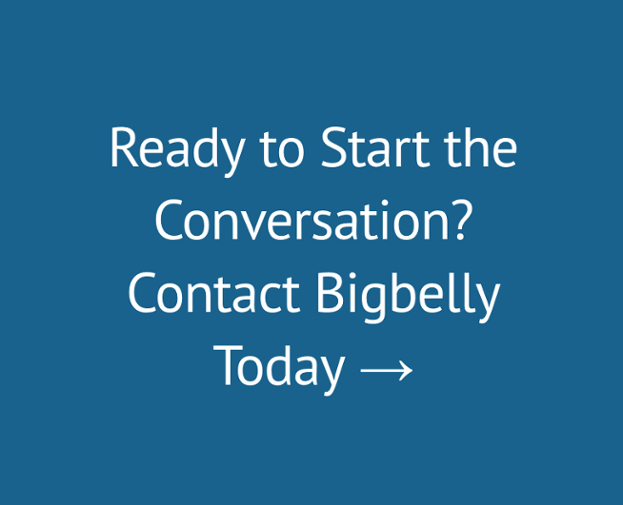 Notably in 2017, Bigbelly expanded at University of Illinois at Chicago (UIC), a customer since 2015 and the first university in the IPHEC – the contracting vehicle for all thirteen Illinois higher education institutions – to take advantage of a Bigbelly purchasing contract. The contract gives any cooperative member access to the 500 Bigbelly smart waste and recycling systems allocated. UIC looked to expand the significant metrics of success and benefits from their initial Bigbelly deployment: 46% recycling diversion, 85% reduced collections, one weekly collection route instead of seven. The expanded deployment now spans 116 high capacity components at 58 locations in high traffic areas on campus. This campus joins the ranks of higher education Bigbelly deployments across the Midwest, such as: Case Western University, Grinnell College, Illinois Institute of Technology, Illinois State University, Iowa State University, Ohio State University, St. Louis University, University of Chicago, and Washtenaw Community College. With adoption of Bigbelly’s smart waste and recycling system, these schools have embraced a transformation of public spaces, service delivery, and quality of life for students, staff, and visitors. The private sector – retailers, hospitality, convenience stores, shopping plazas, office buildings, healthcare facilities, amusement and concession venues, etc. – faces unique challenges in waste management that are driven by a high need to provide an impeccable customer experience, while showcasing a commitment to sustainability, and improving the all-too-frequent task of trash and recycling collection. Navy Pier (Chicago, Illinois) – a landmark on the Chicago shorefront of Lake Michigan that is a premier entertainment and exposition center – is enjoyed by over 9 million residents and visitors annually. As part of its forward-looking sustainability plan, Navy Pier is continually looking at innovative solutions to help meet their goals. With continued expansion in 2017, Navy Pier’s team has experienced significant productivity gains with Bigbelly. Bin collection has decreased from an average of 256 to just 15 times per month while keeping windblown litter and seagulls at bay on the shore of the Windy City. Cedar Point Amusement Park (Sandusky, Ohio) – the roller coaster capital of the world with dozens of rides, family-focused fun and accommodations, live entertainment, eateries and more – attracts over 3.6 million annual visitors. In 2017, the amusement park deployed 61 Bigbelly high and standard capacity smart waste systems throughout Frontier Land. During the 2017 season, the system deliver total waste containment driving public space cleanliness, productivity gains via reduced collections in excess of 80%, and reduced the number of can liners used and disposed by nearly 30,000. With deployments in each of the Midwestern states, these new accounts join a robust list of regional installations that include: Allison Transmission, Indianapolis; Chicago and Parks; City of Ann Arbor, Michigan; City of Athens, Ohio; City of Cincinnati and Cincinnati Parks; City of Dayton, Ohio; City of Duluth, Minnesota; City of Iowa City, Iowa; City of Louisville, Kentucky; Indianapolis Parks & Recreation; Ohio EPA; Village of Oak Lawn, Illinois; Washington University Medical Center, St. Louis, Missouri; Wrigley Field, Chicago, Illinois; City of Traverse, Michigan. Bigbelly (www.bigbelly.com) is a prominent Smart City solution provider as the world leader of smart waste and recycling solutions. 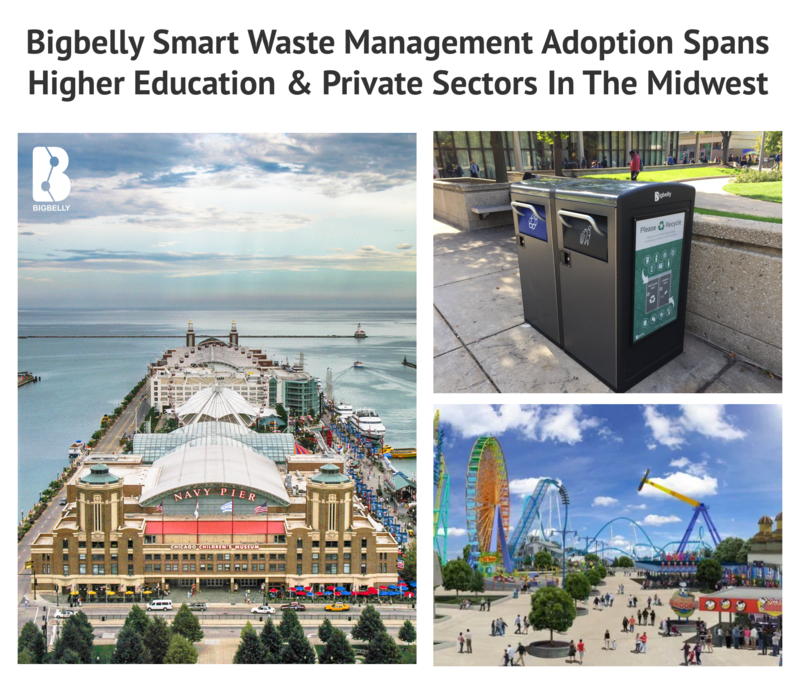 Deployed across communities, campuses and organizations in over 50 countries, the cloud-connected Bigbelly smart waste & recycling system combines smart, sensing, compacting stations with real-time software. Customers experience up to 80 percent collection reduction in addition to cleanliness, operational, economic, and environmental gains.